Head over to the "My Account" area on our website and log in with your email address and the password that you created during the checkout process when purchasing the Pro subscription. Click on "Your Orders" in the left menu bar. 3. 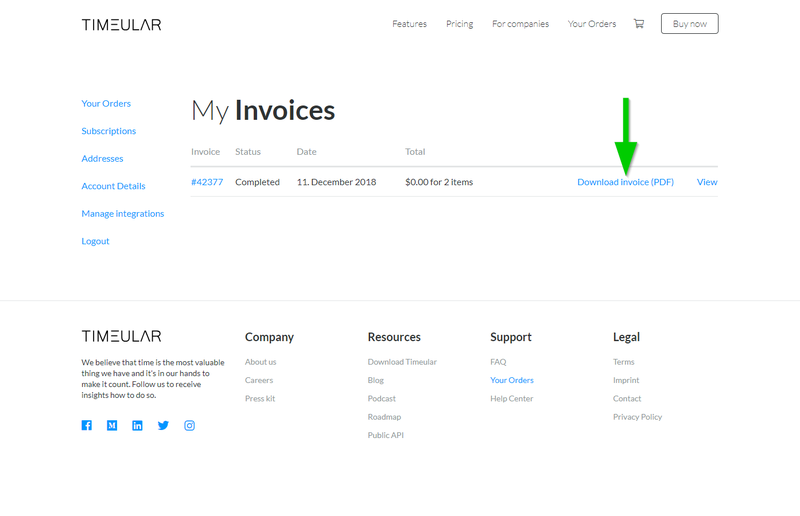 You will then see your invoices which you can either view or download. Need any help with this? Reach out via [email protected] or through the chat widget on the bottom right corner.